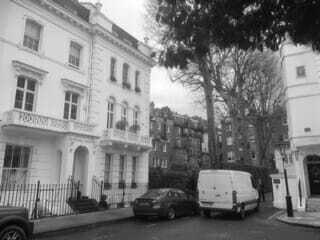 Today Spick & Span window cleaners went down to SW7, Kensington, London, to clean the windows for an estate agents, who required specialist window cleaners to clean windows of a very large and luxurious property that they manage in Brechin Place, in Kensington SW7. Spick & Span window cleaners who provide specialist window cleaning on behalf of professionals and property managers in Kensington, Brompton, Chelsea, SW7 and the surrounding areas, were pleased to carry out a bespoke SW7 window cleaner service. Before any window cleaner work could commence at this property in SW7, Spick & Span window cleaners had to provide proof of public liability insurance and a health and safety policy. Spick & Span window cleaners first collect the keys from the estate agents office in Westminster before travelling on to the Sw7 postal code to clean the windows as arranged. The managers of this property in Sw7 arranged with the Royal Borough of Kensington and Chelsea to suspend all parking outside the property so as to allow Spick & Span window cleaners enough space to access the windows at the front of the building. The first impressions of the property in Sw7 upon arrival was that it was very tall -6 storeys high- with an average ceiling height of around 5 metres per floor. The SW7 properties windows were extremely dirty giving evidence that they had not seen a window cleaner in many years. The building itself comprised of 4 flats. There was a ground floor flat that included a basement, this had 2 bedrooms. There was a first floor flat which had 1-bedroom; the second floor flat also had 1 bedroom. The top floor flat had 3 bedrooms and was split level. Altogether Spick & Span window cleaners washed around 38 windows. Most of the window cleaning was done using the reach and wash method of window cleaning, but some of the window cleaning, such as the windows at the very top of building could only be window cleaned by traditional mop and squeegee window cleaning using a step ladder inside the property. 4 of the windows that were cleaned were in the communal staircase. The instructions were that all windows be cleaned on the exterior only from the front and the back of the building (access via garden), and the keys were to be dropped back to the estate agents after the works completion. Despite the height of this building all windows were reached, and made noticeably cleaner through Spick & Span’s window cleaning process.